The BMW i3 is getting an upgraded battery — plus a bunch of other improvements —that will give the 2019 model about 153 miles of range. That’s roughly a 30% improvement from the previous model. The boost in range is noteworthy, yet it still lags behind the Chevy Bolt and the Tesla Model S, Model X and Model 3 vehicles. And it’s only a smidge better than the much cheaper Nissan Leaf. The upshot: it’s a steady improvement that expresses some continued investment and interest in the i3 brand. But will it be enough to keep this city car in the EV mix? 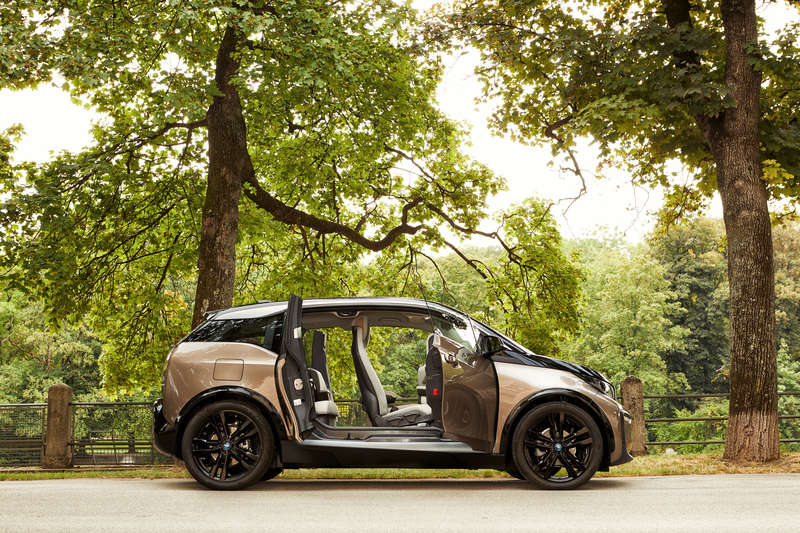 When the BMW i3 first went into production in 2013 it had a 22.6-kilowatt hour battery pack containing 60 ampere hours (Ah) batteries. That first i3 had range of 81 miles, according to EPA estimates. The company’s second-generation battery, introduced in 2016, grew to 33 kwh of gross energy (94 amp hours) and had a range of about 115 miles under the EPA cycle. Now the 2019 model, which will comes with 120 Ah batteries in a 42.2-kWh-battery pack, will be able to travel about 153 miles on a single charge, BMW said. The upgraded battery will be available in both the i3 and the i3s. Pricing was not announced. Previous i3 model year is priced at about $45,000 for the base model. Power hasn’t changed in the new 2019 models, which will go into production this November. The standard i3 comes with a 170-horsepower electric motor that will take it from zero to 60 miles per hour in 7.2 seconds. The sportier i3s will have a 181-horsepower motor that can go from zero to 60 in 6.8 seconds. The automaker is giving the i3 a few other improvements as well, including a new exterior color called Jucaro Beige metallic and adaptive LED headlights with automatic high beams. The exterior paint finishes Mineral Grey metallic, Imperial Blue metallic, Melbourne Red metallic, Capparis White and Fluid Black are still available. 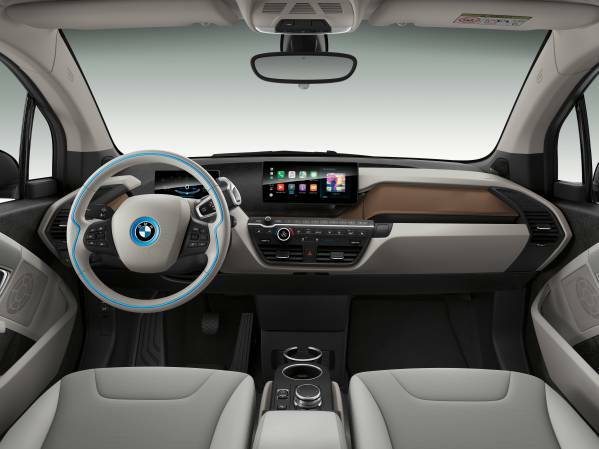 Wireless charging and a Wi-Fi hotspot that can accommodate up to 10 devices will also be available for the BMW i3 and BMW i3s, the company said. Customers will also new options for the sports package, which will include black wheel arch surrounds and a suspension with specific dampers, springs and stabilizers, lowered suspension, a widened track and 20-inch light alloy wheels.